PHNOM PENH - New Zealand Prime Minister Jacinda Ardern again offered Thursday to resettle 150 asylum seekers sent by Australia to offshore camps including one in Nauru, a Pacific island nation where leaders from both countries are set to meet next month. Australia declined New Zealand’s offer last November to take asylum seekers sent to Australian-run detention centers in Nauru and Papua New Guinea’s Manus Island, because the country was negotiating with the United States to accept 1,250 migrants. “New Zealand has reiterated our existing offer to Australia to take 150 refugees from Nauru and Manus Island,” Ardern’s office wrote in emailed comments. The offer comes as Australia and New Zealand’s prime ministers plan to attend the Pacific Islands Forum next month in Nauru, an isolated island with a population of just over 11,000. 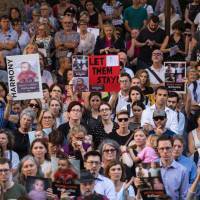 Australia’s hard-line immigration policy requires asylum seekers intercepted at sea while trying to reach Australia to be sent for processing at detention centers, including one on Nauru. In 2016, Papua New Guinea’s Supreme Court ruled it was illegal to detain the nearly 800 refugees and asylum seekers in a facility on Manus Island. Australia withdrew all services to the facility and said it would fund three new “transit centers” on Manus, where migrants would be provided with security, health care and money for food. There are about 940 refugees and asylum seekers on Nauru who are unable to leave the island, according to the charity World Vision. Asylum seekers held by Australia hail from nations such as Iran, Iraq, Somalia and Afghanistan, Human Rights Watch says. Rights groups have condemned conditions in the detention centers, and a coalition of 30 organizations, including World Vision, this week urged Australia to remove all child asylum seekers and their families from Nauru within three months. 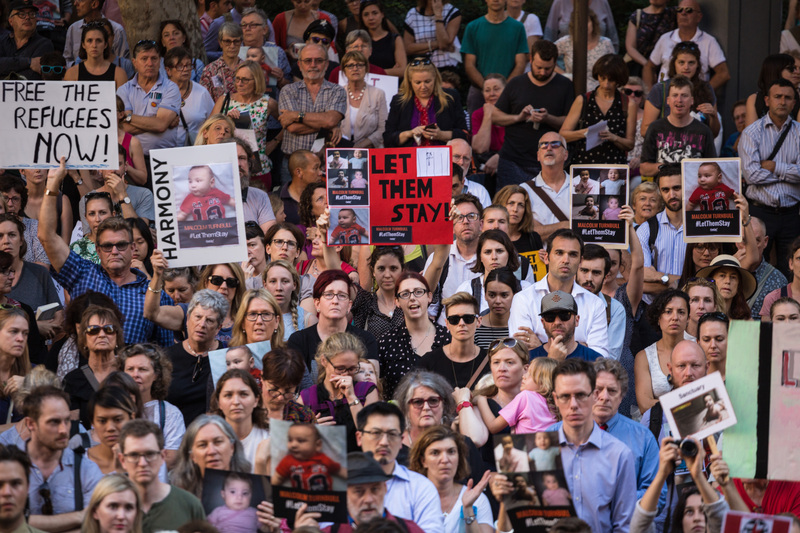 “The Australian Government should welcome them here, or at the very least take up the New Zealand prime minister’s offer to resettle them in her country,” said Claire Rogers, World Vision chief executive for Australia. Australia’s Department of Home Affairs did not respond to an emailed request for comment. The Australian government has previously defended its tough approach, saying it has deterred people from making dangerous sea journeys to try to reach its shores after thousands drowned. Ardern’s office said her government is concerned about child refugees, but can do little aside from offer to resettle them.